The challenge ends on Thursday, January 29 at midnight (EST). A random winner will be selected from all of our participants and announced before our next challenge (beginning on Thursday, February 5. You may enter multiple projects, however, your name will only be entered into the drawing once. This month's sponsor is...eclectic Paperie! eP will be awarding a product prize of the Ornate Dots Overlay stencil, Ornate Dots Background Stamp, and the Floral Frame Stamp It, Stencil It! Now on with Wendy's project!! Wendy is demonstrating a new technique with today's project...FAUX GILDED art parts! This project shows how to alter one of Wendy's stencil binders. To start, lay the NEW spotlight frame mask (the solid piece) on the cover & use your finger to spread a very thin layer of gold embossing paste over most of the showing cover…but leave the art parts edges unpasted. With the mask in place, add Potting Soil to the cover, using a blending tool…the edges will be darker & more vintage. With the mask still in place, use the NEW small filigree stamp with watering can & stamp randomly over the cover. Apply silver embossing paste thru the NEW Alphabets Stencil (I'm giddy over this one!!) in 3 random areas. With the stencil in place, (the stencil has the opening) ...it’s easy to ink just the center & add some stenciling (NEW Vintage Quilt stencil) to only the center. Spread a thin layer of silver paste on the craft sheet…tap the Polka Dot stamp into the paste & add random stamped embossing paste dots. CLEAN the paste from the stamp before it dries! For a tiny bit more inspiration...here's my project for this month's challenge. Yeah...so much fun!! Details on my blog. Scroll down for the Linky Tool...simply click and add the URL to your project!! ENJOY!! Woohooo, LOVE the new challenge! My mojo and motivation has been SOOOOO low, but this has me excited to get all my fun Wendy-stuff out and get messy! 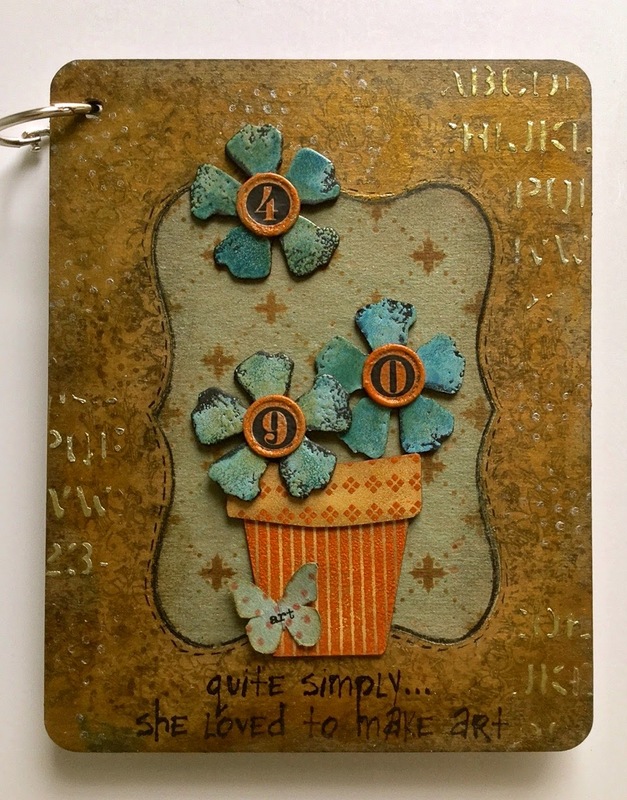 Love the new products, stamps, stencils, etc.! Hope to join in the fun using embossing paste! A wonderful new challenge to start off our New Year! Both projects are beautiful! What a great idea. Hope I can carve out a little time to play along on the challenges! Love your new projects Wendy !! I am not playing along yet. Hoping to get some embossing powders soon. Thanks so much for sharing your amazing talent with us. 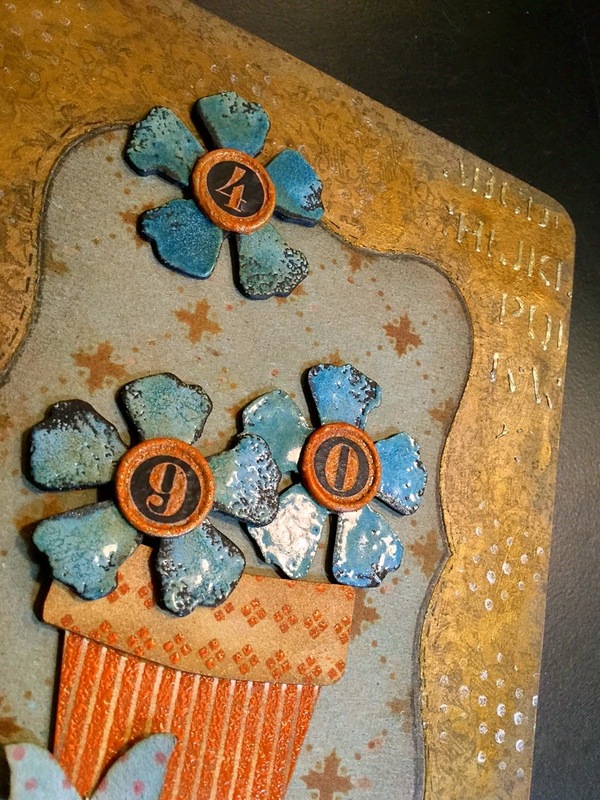 this challenge is for my embossing pastes...not powders. hope you can join! Entered my "Let it Snow" Mixed Media piece. I used your Embossing Paste through some stencils to layer the bottom corner snowflakes, then inked them. I love that it does not crack! So happy to see this challenge blog! I've just posted my tag using embossing paste!